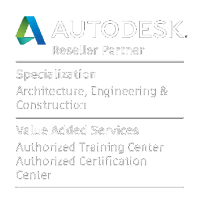 Autodesk Fusion 360 is a CAD and CAM software product, primarily used for product design and development. Even though the software is relatively new, it has already become incredibly popular in the product design and mechanical engineering industries. Our Fusion 360 training course will teach you all of the fundamental skills of the software. During the training course we will cover elements such as how to confidently navigate the Fusion 360 user interface, creating sketches, editing 3D models, creating 2D drawings, animation, assemblies and constraints. Our Fusion 360 courses are run as bespoke courses at either our premises or yours and are tailored to suit your exact requirements…. whether you’re a complete beginner or looking to develop more advanced skills, the course will be pitched at the right level for you with expert guidance throughout. Enquire today about our Fusion 360 courses!